As the world leaders began assembling for the WEF Davos 2019 on the Swiss Alps, a gloomy outlook for the global economy weighed on the participants’ mood but many asserted that it was still not time for a recession. The five-day annual congregation of more than 3,000 global leaders at the World Economic Forum began on Monday evening in this Swiss resort town. On the first day itself, the IMF lowered its global growth outlook and stressed on the need for urgent steps by policymakers and governments to fix the problems in a manner that is inclusive, resilient and collaborative. But IMF Chief Christine Lagarde said the risks still did not indicate any immediate recession. On Monday, the IMF cut its global growth projections for 2019 and 2020 to 3.5 per cent and 3.6 per cent respectively. Leaders from India felt time was ripe for the country to present itself as a counter balance to China and continue on its growth path, irrespective of the outcome of elections due in next few months. While many Indian leaders have given the annual WEF summit a miss this time, those present said the main questions they were facing from the world community related to the elections and whether the Narendra Modi government would return to power. A survey released by WEF showed that Indians had emerged as the biggest supporters of international aid, while another study by Deloitte said Indian businesses were among the best prepared for the next level of globalisation and industrial revolution. In spite of recent shocks in financial markets, the global economy will continue to expand at a modest rate in 2019, according to new analysis released here by IHS Markit, a world leader critical information, analytics and solutions. “A ‘perfect storm’ shook markets in late 2018,” IHS Markit Chief Economist Nariman Behravesh said. “Slowing global growth, the gradual removal of monetary accommodation, the China-US trade conflict and US government shutdown all contributed to the recent rout. However, it is important to note that the stock market is not a reliable predictor of recessions, and the probability of a recession in 2019 remains low,” he added. Global growth is expected to increase at a rate of 3.0 percent in 2019 and 2.8 percent in 2020, below the rates seen in 2017 and 2018, but still in-line with trend, IHS Markit analysis said. 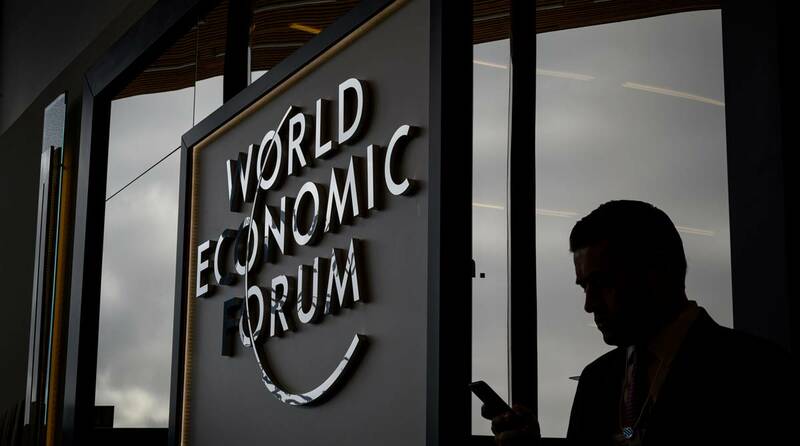 Behravesh said the WEF attendees will be anxious about financial turmoil and the potential damage from fallout over US policies such as the simmering trade conflict between the US and China and the US government shutdown. “However, US companies will be more upbeat, compared with European and Chinese companies especially those in the manufacturing sectors as US business conditions remain the strongest among the G7 nations. 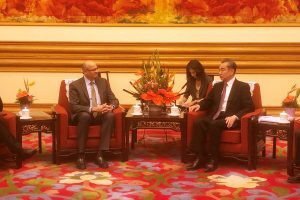 The mood of Chinese delegates is likely to be quite somber,” Behravesh said. The IHS Markit analysis concluded that policy mistakes, especially regarding trade, continue to be the biggest threats to global growth in 2019 and beyond. Rising political uncertainty is also likely to negatively impact growth. Global banking major UBS’ Chairman Axel Weber said he expects 2019 to be a year of normalisation, in terms of several factors including on monetary policy actions and trade relations. He said there are serious headwinds and the first half of the year would be important to lay foundation for a better second half. The WEF summit began with Crystal Awards function and was followed by an opening concert. 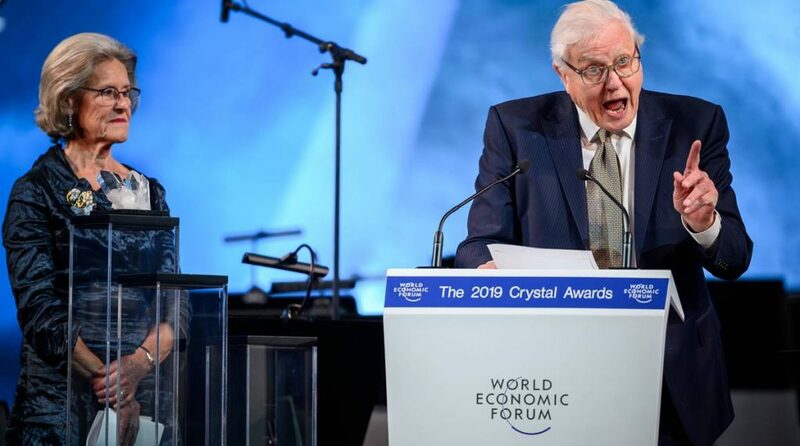 The crystal awards were given to three personalities — conductor Marin Alsop, film director Haifaa Al-Mansour and broadcaster and naturalist Sir David Attenborough. Marin Alsop has been recognised for her leadership in championing diversity in music while Haifaa Al-Mansour has been awarded for her leadership in cultural transformation in the Arab world. The crystal award has been given to Sir David Attenborough for his leadership in environmental stewardship. Their remarkable achievements inspire us to see beyond the limits of convention to find solutions for the current issues the world faces, according to the WEF. The opening concert featured Alsop along with Taki Concordia Orchestra in association with Southbank Centre Orchestra and The Royal Academy of Music, London, as well as 13-year-old Clara Shen. Shen was the 2018 winner of Menuhin Junior Competition for young violinists. Through Friday, world leaders as well as nearly 2,000 CEOs and hundreds of others, including representatives of international organisations, would discuss what ails the world and what needs to be done. German Chancellor Angela Merkel, Japanese Prime Minister Shnizo Abe and Swiss President Ueli Maurer, among others, would be present. On Monday, the International Monetary Fund (IMF) lowered its global growth projections for 2019 and 2020 to 3.5 per cent and 3.6 per cent respectively, citing slowdown in several advanced economies more rapidly than previously anticipated.